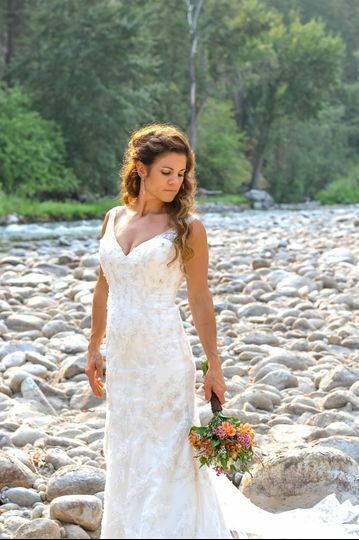 Country River Wedding Venue is a rustic wedding venue located in Entiat, Washington. 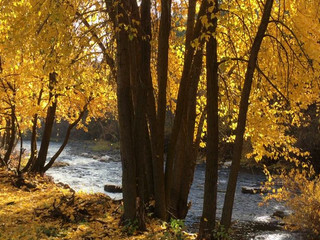 With gorgeous scenic views, cozy cabin spaces, breathtaking riverside scenes, and custom rustic decorations, this unique location is ideal for any intimate and romantic wedding celebration. 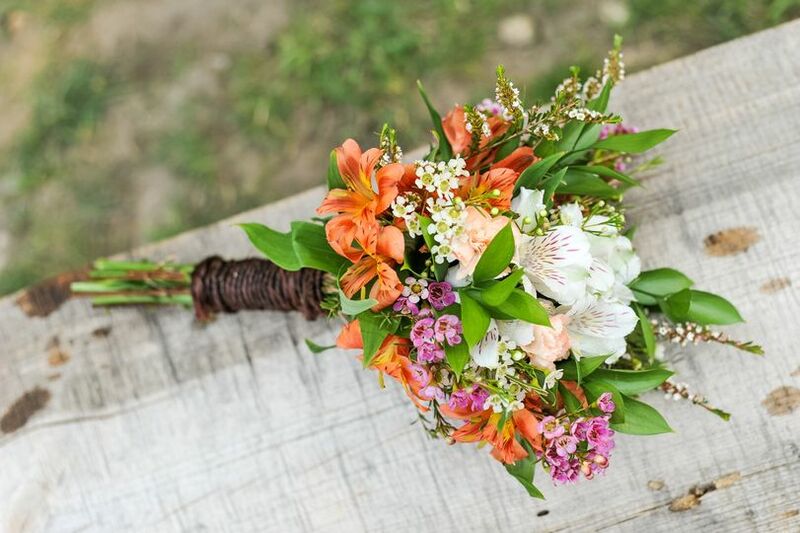 Country River Wedding Venue’s staff can personalize their venue to meet your distinct specifications, whether you want a casual ceremony or an extravagant reception. 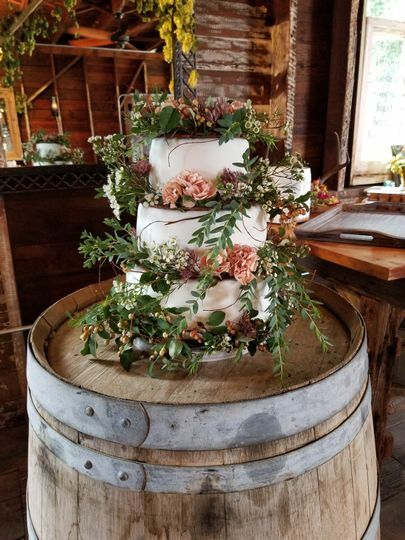 The owners strive to make each wedding as personal as possible, from the decorations and floor plan layout to their impeccable customer service. 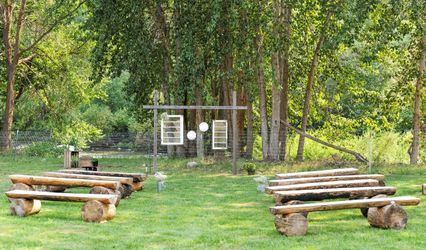 This country wedding venue is located a short distance from Lake Chelan and Wenatchee, perfect for adventurous couples and guests. 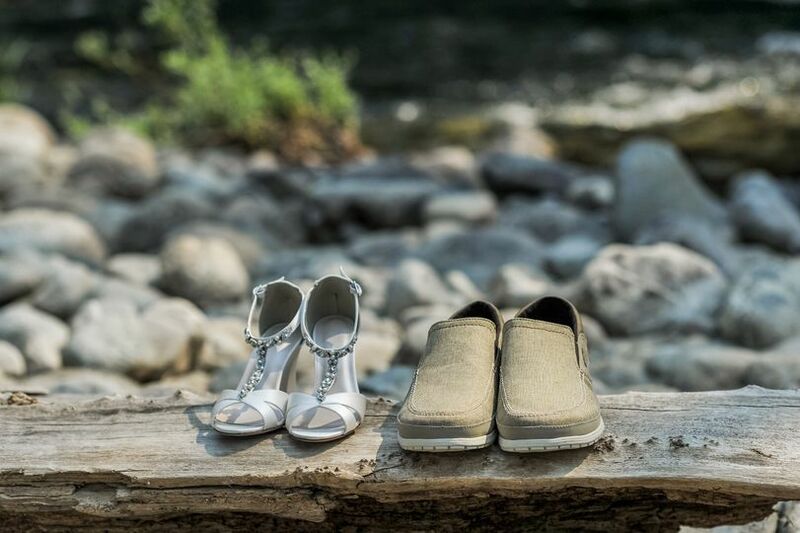 Couples can feel confident in having fantastic panoramic mountain views and one-of-a-kind portraits in front of the river. 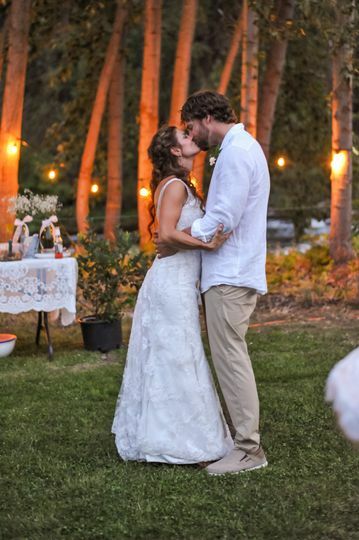 Whether you want to exchange vows under their old cottonwood trees or set up a delicate ceremonial space with their log benches and cable spool tables, their talented team of professionals will be able to transform their outdoor space into a boho-themed event complete with rustic details. This venue boasts three event spaces and can hold a maximum capacity of 150 wedding guests. They can provide couples with an indoor space as well as a covered or uncovered outdoor space. All locations feature stunning scenic views. 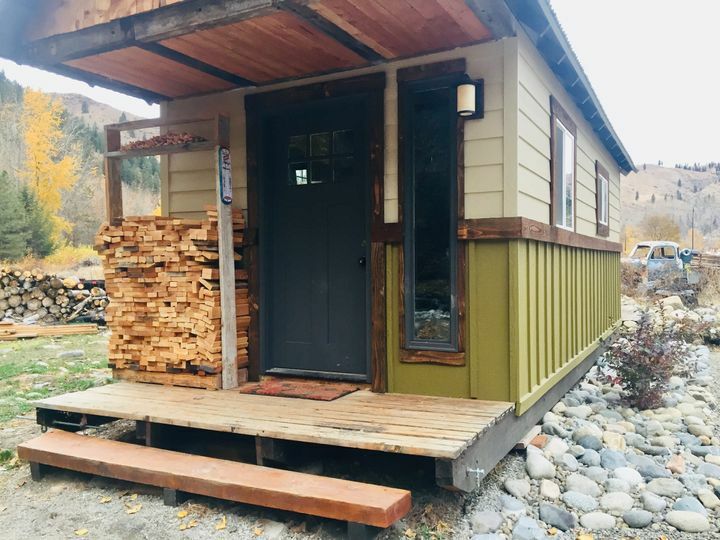 Their bridal suite is a fully-efficient cabin, convenient for relaxation and preparation. This venue is gorgeous and the staff is very friendly and accommodating. 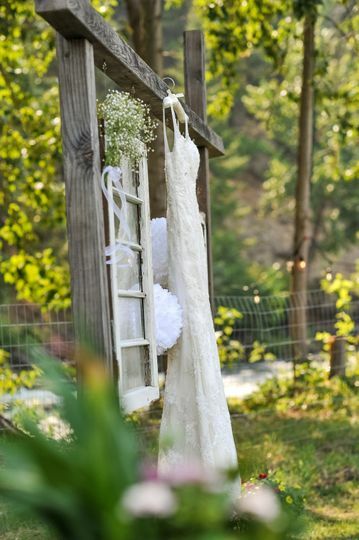 It made for a beautiful backdrop, intimate ceremony, and gorgeous pictures! I love the location and rustic details that were available such as log benches, cable spool tables, and delicate lace accessories. It is easy to add your own personal touch and the guests enjoyed themselves as well. I would definitely recommend this venue to anyone looking for a beautiful spot! 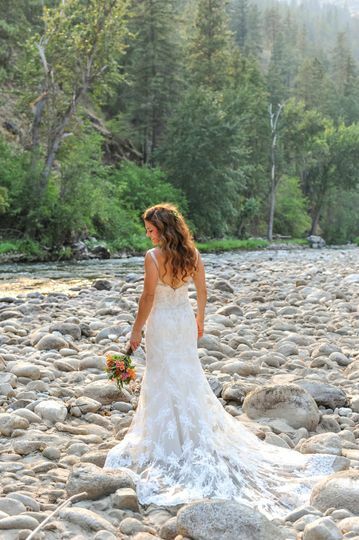 Incredible venue with Picture perfect views nestled in a quaint spot along the river with mountainous views all around! Hard to beat being so close to both Wenatchee and chelan! I’d highly recommend this place along with the owners who really care and wanna make it personal for each one! Great people to deal with! Next 2 Bookings that come from Wedding Wire will Recieve an extra $200 off total package deal.